I was divorced in 2001 after eighteen years of marriage. I have no intent to assign blame in this post—if blame were assigned I am only beginning to see that I deserve much more than I would have earlier admitted. I only want to speak of the experience of divorce itself, but even in that I can only speak of my own experience. My feelings in the midst of divorce may not be the same as another’s. These are my own personal feelings about my own divorce. These are the emotions and thoughts I felt and thought. Whether they accurately reflect the reality of the situation or whether they correspond with God’s own compassionate understanding of the circumstances is of little consequence because they are nonetheless what I felt and thought. Whether right or wrong, this is what I experienced. I have rarely spoken or written of my divorce. I’m not sure why—it still hurts and I certainly don’t want to speak for or about my ex, but perhaps it is mostly because these feelings still persist in some ways. I share them here for the first time in writing though I have spoken about them (but only on two occasions). Incredulous. I wanted to cry out “this is not the way it is supposed to be!” I did not marry in order to get divorced. 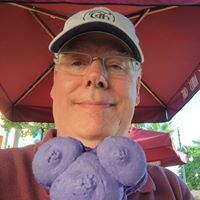 Even now—almost seven years later—it is still difficult to believe that I am a “divorced person.” I still feel it even though I have remarried and enjoy a new relationship with Jennifer. Failure. What could I have done differently? How could I have messed up the most important thing in my life? I failed at the most important relationship in my life. How could I feel good about that? How can I recover from that? If I failed in this, what does this say about me and about any future relationships I might have? How can I minister to others when I failed to minister to my own wife? Hurt. Not only, of course, my own hurt, but the hurt that reverberates throughout the lives of my children and others. This is generational pain that entails wounds that will affect my grandchildren and great-grandchildren. My heart hurts not only for my own loss but the losses that are yet to be felt in the lives of those connected with me. Guilt. God hates divorce, and so do I. I have felt the burden of the sin of divorce on many occasions; I have felt the guilt of failure. My marriage did not image the oneness of God’s own loving community. Instead, brokenness and woundedness destroyed my marriage’s oneness. Shame. This is the most nasty of all feelings. It is more devastating than guilt. I feel guilt for my part in my divorce–guilt relates to what I have done. But shame is something I feel because of my identity as a “divorced person.” Shame relates to who I am; it is a mode of existence. It reaches to the core of my own self-image. Rejection. The rejection may even be mutual, but the feeling of rejection is nevertheless real. Whether the rejection is passive in the sense of distance or withdrawal or whether the rejection is something else, the result is the same. At one time one feels chosen—the one the other wants and desires, but now rejected. Now the divorced—on both sides—feel unchosen. Embarrassment. Wearing the big “D” on the forehead is like wearing the scarlet “A”. The failure, hurt, shame and rejection are public—everyone knows about it. Some disconnect from you. Some distance themselves. Others don’t want their children to marry your children. Some churches don’t want you to serve among them. I sometimes didn’t even want to show up at the assembly. Who am I to minister to people when I could not even minister to my own wife? Brokenness. Life is different. Everything, it seems, has changed. Loneliness becomes a part of life in a way that it had not before. It seems that it will never be the same again. Who can put Humpty Dumpty back together again? I wondered whether I would ever heal and in some ways I still have not healed. The trauma is massive. Disconnected from Community. I became uneasy with my old circle of friends, especially the married ones. It didn’t seem the same anymore. I stuck out like a sore thumb. Being with married friends only reminded me of the pain of my loss and the reality of my loneliness. They were not the problem, but my circumstances took me to places in my mind that skewed even their best efforts to show me friendship. Jealousy. I confess it. I am jealous of those whose marriages have survived for 30, 40, 50 years. I wanted to be in that number myself and thought I would be. I do rejoice with others at those anniversaries…but I also admit that have a strong tinge of envy and jealousy at the same time. My brokenness remains with me. How do you help? I’m not sure but perhaps I will offer a few thoughts later. But for now just sit with me as I experience my own feelings. Sit with me without judgment, without correction, without condemnation…but as a friend ready to listen, pray and embrace. Recommended Reading. For the questions surrounding the practical theological and ethical issues, I would recommend Rubel Shelly’s recent Divorce & Remarriage: A Redemptive Theology. For practical spiritual, emotional and redemptive perspectives on divorce and life after divorce, I would recommend Dana Hood’s recent I Will Change Your Name: Messages From the Father to a Heart Broken by Divorce. This entry was posted on April 5, 2008 at 7:48 pm	and is filed under Pastoral Care, Personal. Tagged: Caregiving, Divorce, Grief, Suffering. You can follow any responses to this entry through the RSS 2.0 feed. You can leave a response, or trackback from your own site. Even though you don’t know me, I hope you will consider this the presence of a friend and sister sitting, in silence, with you. I think I know why you may not have wanted to talk about it. Shame and embarrassment are are all to present. I readily grasp those emotions. I thank you for leading the way for the rest of us to say with you. I am divorced and I hate it. It is most interesting that you should put this here right now. I actually wrote a blog called “Dates that Changed History” and simply did not have the courage to publish it. Perhaps this was an example of Harding’s special providence. I thank God you are my friend. Thank you for sharing your heart, John Mark. Your openness helps those who aren’t divorced to be a little kinder, gentler, and less harsh with those who are. Que Dios te bendiga, in every way! I think this is such an important subject for all to grasp. After all, our communities and churches are filled with divorced people. Jesus calls us to love and encourage the broken hearted – and we sometimes do not know how. Thank you. Bobby, I know how difficult it is to say the words “I am divorced.” We share something which neither of us ever wanted or ever dreamed we would experience. Jim, Q and JD, thanks for your caring words. May churches demonstrated God’s compassion as God’s people. Thank the God of Heaven for his redeeming blood, and His becoming one of us so that we can know him. Brother, I sat, read, listened, and prayed as my eyes read your post on how you feel. Love to you Brother! Dr. Hicks, Thank you for your transparency here. I think a lot of people wrestle with many of these emotions, whether for divorce or some other reason, but are too ashamed to talk about them. While I believe the Church should be against divorce, our job is not to be against divorced people. I pray that we will continue to be more redemptive in how we approach these situations. Thank you for this post and the one following. I am divorced – living near my children (neither my wife or myself would be in this wretched place if it weren’t for these girls). It has been almost nine years – I still FEEL these things at one level or another. This post is timely, I have been remarried for six years. Things are better than the first – I am more mature… certainly not as mature as I wished… but it is still not as easy as I think it should be. In fact just this morning I thought – “what if” – I did not entertain the thought long… but it did cross my mind. These posts remind me that I too hate divorce and it’s consequences. Please pray for my family – the one under my roof and across the county. What a great place for broken and struggling people to come! I truly appreciate your openness and honesty. My prayers are with you! Thanks for sharing and putting yourself out there in such a vulnerable way. I don’t know what it is like to be divorced and I hope I never do. But being able to read the experiential feelings to something I have never experienced does help me be more understanding to those who share your experience. Thank you for sharing this with us. Most people are silent on this issue, but you gave heart to the pain. Mike and I cherish the memories and lessons you gave at the Preachers’ Retreat in Wisconsin. The “Five Anchors for the Soul” you shared with our small congregation in Oconomowoc and the time you spent with us have left a lasting impression. I believe it was the following summer that Joshua gave up his soul to God. It was through Bobby we learned of your divorce. I vividly remember the deep sorrow I felt that you should endure this additional horrific pain in your life. Though divorce had not been a part of any member of my family, I now have a divorced niece. My sister shares with me the constant and incredible pain it creates. A brother-in-law of my daughter and a sister-in-law of my other daughter are facing divorce after only 2 and 3 years of marriage. Thank you again for giving voice to the pain they and others feel. May God grant you Shalom. Deborah, I remember well the time in Wisconsin. It was a real joy and quite intimate as we shared together amdist a small group of people. Thank you for your continued friendship and blessing in my life. Thanks for sharing. I hope that by understanding these feelings I will be more sensitive. As an elder I’m sometimes overwhelmed buy the hurt being experienced and in those situations I’m useless. Thanks, Matt and Keith. If my post creates a little bit of sensitivity, I am grateful. Keith, glad you had the opportunity of hearing Gaffin (as per your email recently). Dr. Hicks, You expressed clearly and succinctly exactly what I felt and continue to feel about my divorce, though it’s been almost 15 years, and I, too, am happily remarried. The hurt that has been the hardest to “get over” (if there is such a thing) is the fact that I was unable to keep our home intact for our children. I absolutely hate the term “broken home”, though that is exactly what it is! Thank you. Thank you for writing these painful words. They so well describe much of my own experience. Though I am a former student of yours, I had no idea of this more-recent trauma in your life. I’m thankful to know, along with this news, that the Lord has given you a good measure of healing and joy since then. But I also know with you the spiritual, emotional after effects that are yours to bear. I was relieved to read about someone else’s jealousy. It embarrasses me and makes me feel ashamed again. I’m supposed to “rejoice with those who rejoice,” right? But sometimes I don’t. One emotion of mine that I didn’t expect so much was fear. So much of my adult life has been poured into becoming the best minister I could be. But in our circles, it hasn’t been that long since “divorced minister” was an absolute contradiction. How would I make a living? How could I pay child support if I lost my job and couldn’t get another one? Never before had I felt like I was so close to the edge. When I saw “The Pursuit of Happyness,” I cried my eyes out and realized how afraid I had been for so long. Dear Dr. Hicks and Bobby Valentine also. While not divorced I have witnessed the tragedy in my immediate family. My prayers are for both of you and the several other Men of God whom I know personally who have been struck by Satan in the same manner as you. Surely this divorce thing among preachers is always happening but it seems to me that the worse started in the 1970s when feminism raised its ugly head. Just as Satan attacked Adam (and God) through Eve he still uses this method today. Thanks for your empathetic words, my friend. I do deeply appreciate them. I don’t know if the attacks are more than they used to be, I just know they’ve been present in the lives of many people. Feminism is to blame? Women wanting to be respected and treated as persons instead of property? Is abolition to blame for racism, then? Or do we still live by the words of the early church fathers, that as women we are “all Eve” and the “gateway of satan”? Have we not seen that Christ redeemed male AND female from the fall? Are you seriously saying that women asking to be treated as persons is the fall of marriage? Are there no men responsible for the disintegration of that bond? It seems to me that even as it takes 2 to make the covenant in the first place, it just as often takes two to break it. I am sickened by this attitude and appalled that it is still held by men who claim to follow Christ, the one who came to set us free. Where are you getting this from? I’ve read the entire blog on this and can not find where these accusations hold. By the way, it only takes one person to break a covenent. Just like Israel broke it’s covenant with God although he remained faithful. I think Q is referring to the comments of Bill Good a few posts above her. I too shared the hurt of divorce and the guilt and jealousy felt at the celebration of a friend’s landmark anniversary. After divorcing my husband after 25 years of severe physical and emotional abuse, I found myself still regretting that I couldn’t be one of those celebrating my own landmark. However, I now force myself to remember the wonder of God’s grace and forgiveness for whatever failure I had in the marriage’s demise (though in all honesty, I did not do much to bring it about,) and I recall His goodness in finding a truly loving new spouse for me, 5 years after I divorced. We have been happily married for 11 years- so God willing, we will have our own landmark anniversary- though every anniversary is a blessing! Moving on is critical- we must look at the finish line and run the race without looking back- leaning on the Saviour and being grateful for another chance at marriage. We must get out of the mud patch and brush ourselves off and keep running. Moreover, we must remember that no matter what anyone says, or how the church treats divorcees, our God knows all- and He is more compassionate than any man can be to us. honstly i just read this…. Thank you so much for your candor John Mark. I can relate so well to the other believers who have been devastated by divorce. I believe I tried everything within my power to keep my marriage and family intact. I just about gave away everything. However, it takes two to make this happen and I was the only one really trying. I’m sure I didn’t do everything perfectly but I certainly didn’t deserve the treatment I received by my then husband, the sister in Christ whom I thought was one of my best friends and others who were allowed into our marriage through adultery. What my “sister in Christ” did in entering into an adulterous relationship with my husband has been the most difficult to overcome. If anyone came the closest to totally destroying me, it was her. She set the stage for others to enter into my home and almost destroy me and my children’s lives. And She knows who I’m talking about. Even after I confronted her she blamed me for what happened and became defensive and hostile. I try to pray for her soul. The reaction of other believers was equally tragic as I experienced other Christian couples with whom we socialized avoid me and my children and never ask what they could do to help. I truly felt like a leper and my children were further traumatized by losing the friends they once played with freely and happily. When I needed love and support the most in my life they abandoned me as my husband had. The Church had and has the opportunity to minister to people forced into divorce or otherwise and all too often seems to take the low road rather than the high road. Who is going to change this trend? Only those in leadership can. I hope and pray they awaken and do so. I am a southern baptist minister who now drives a truck around the country because I am a leper within my own denomination. I feel so ashamed and fearful. I have three boys who I love and miss dearly. I do not get to see them that often due to my job. Tonight I sit here crying my eyes out and pouring my heart out to our Lord. I long for the peace that only Heaven will bring. My heart hurts with you. I understand the pain. I trust you may find a faith community–a loving, redemptive people of God–who will receive you, love you and support your renewal as I have found in my community at Woodmont Hills Family of God in Nashville. Blessings, my friend. I am so devastated. I don’t know where will I pick up myself. I don’t want a divorce. I cannot live without my husband. I don’t have anyone to talk about it. I called a friend who once been divorced but she is not answering. I know another one who is divorced but he is really busy. I cannot tell my parents, my sisters nor my co-workers. I am always alone. My head and heart seems will explode. I don’t want to be divorced and I only can see myself with him. I am 32 years old and don’t really know how to start. It is so painful, it’s really killing me. I want to talk to him and tell him everything that I feel. I offered everything even accepting his religion to save our marriage but he reject it. He said we’re not meant to be. But I believe that our relationship will be better. I really need help but no one to help me because I am so ashamed to tell my story. I responded to Jill privately. Her witness testifies to the utter pain, hurt and despair that is divorce. Take a moment–even now–to pray for Jill and those you know are suffering through a divorce at the moment. sometimes you can get so tired of jumping through emotional hoops,for the love of someone else that you forget who you are and the relationship that you have missed with your god and his love and his compassion for your life. an emotional door will not open for me unless i actively engage change toward the good love of the promise of our god through the faithful nurturing of the Lord’s spirit. as we act this way being a decent forgiving person, we allow god to work for us,and we accept the outcome. everyone has a choice your husband a choice,you also have a choice, to be a good kind person. i can’t stand those words the pain and the hurt and all because we are broken pitiful people that have chose to hide behind self deception and deviate in our concept of gods good and his Providence,to work on our behalf as we fail to manifest the fruits of god’s spirit that is dwelling in us because of atrophy. so out of the diverse reasons that we ALL can manufacture we choose to initiate change to the demise of our spouse’s feelings. it is the way, it is. i pray you allow our father and lord to open a door of hope. i as you are going through this door of change i have ask her to not do this to our family and i have said god hates divorce. and i am taking my own advice. i love her but her feelings our her feelings. as much as i wish it wasn’t so. TODAY it is the way it is. in the loving uncertainty of faith,hope,and love. I am thankful that this post has helped in some small way. Divorce is devastating…for everyone. No wonder God hates it so; it is so contrary to the divine intent of creation. I understand your feelings. I know them internally. I hate divorce as well and have seen its ugliness in many different ways. At the same time–at least for me–God is able to renew life even in its brokenness. I have discovered (perhaps rediscovered) this grace especially in the couple of years. Even my realistic and pessimistic feelings about divorce did not hinder God from bringing happiness and renewal into my life when I least expected it. May God grace your life as well. the crowd the contemporary theological hermeneutic of our peers.the lighting of the arena is provided by you guessed it our great lighting director,our father. IS your ring lighting a little dim? until we all accept that we are called to be decent human beings we will continue to allow our body to be wagged by the tail of our miss guided well intentioned preachers,guided by the light of “onto-theology so that theology is shaped by a prior commitment to an ontology”. It sounds like we are going to put the Bible into its “proper” order–an order that we impose through a preconcevived “system” (an order perhaps borrowed from some philosophical construct, cultural model or a previous scholasticism). This prioritizes “system” over text; it postulates an “order” to which the text must conform. This is onto-theology so that theology is shaped by a prior commitment to an ontology. Theology then becomes a form of philosophical anthropology, which means it is not theology at all but “anthropology in a loud voice” (so Barth’s critique of classic liberalism). It will override the text. s it took me me fifty years to find this place. It begins with where I minds and hearts dwell, doesn’t it? Thanks for the Phil. 4:8 reminder. blessings and happy new year, Everyone BE SAFE…. This morning i left the way i feel ? Like,a weigHted coin in a coin toss, that will land heads up every time. Faith,hope,love. bob john mark i am thankful for this blog and of course you. a great word when you are trying to define a mess that isn’t quite adultry for sure. by deffination would thats a yes to. that it is fornacation, although… and i know that also it is a hart issue…to me thanks for the clairety. she got enguaged this last week,my son says she is drinking a lot of wine and he comes over smilling of drink and at times can bareley talk properly. Marriage is a failure of TWO people and not just the one who initiated the divorce. I felt I had no choice but to leave my spouse. She rejected God, his word, his church and held its leadership in what could only be termed as contempt. All because she was “mad at God”. And yes there are a lot of people who are “Mad at God” who would do everything in their power to prevent the believer from attending worship and associating with fellow Christians. Been there done that, do churches and individuals discriminate against those who are divorced? Yeah, and it’s wrong! We had to make a choice, our safety, our faith or our marriage. Not a pretty choice but we had to make that decision knowing where our priorities HAD to be. In my opinion, it is very wrong for “Marrieds” to penalize us for making that decision. Yes it was a failure – a two way failure. So there needs to be a change in thinking about this, especially in the married segment of the church. Divorce is NOT going away; ever. It must be dealt with by leadership in the individual congregations. Obviously men who are divorced cannot serve as elders and Deacons but we can serve in other capacities. To think otherwise is outmoded thinking which is still among us. I have been divorced for two years now and experienced many of the same feelings you noted: shame, rejection, loss of community. One of my biggest long-term fears was being unable to have any meaningful role in my church. Thankfully, the church has shown an increasing ability to find a place for the divorced to participate in community.